Why work for Habitat Niagara? If making a difference in the lives of families is important to you, Habitat for Humanity Niagara may be the right place for you. We engage communities to build safe, decent and affordable homes for families across the Niagara region. We also operate three Habitat ReStores across in Fonthill, Grimsby and St.Catharines, which offer a variety of rewarding positions in retail. 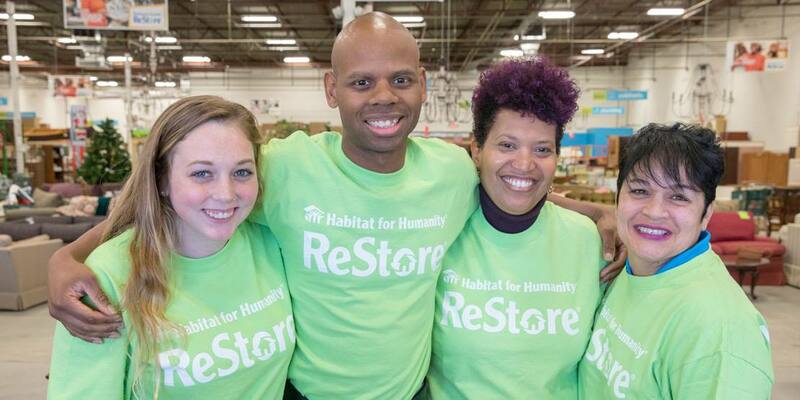 We also operate three Habitat ReStores across NIAGARA' in Fonthill, Grimsby and St.Catharines, which offer a variety of rewarding positions in retail. As part of a globally recognized non-profit housing organization working to alleviate poverty through affordable homeownership across 70 countries, Habitat for Humanity Niagara enjoys a highly recognizable, positive brand reputation. Our passionate and dedicated team of staff and volunteers come from a variety of disciplines and are driven by a common mission to help others build a better life through our unique affordable homeownership program. At this time, we currently do not have any openings, please check back with us!